Coyote and her dad, Rodeo, lost their family five years ago and have been on the road ever since. When Coyote finds out a park is being ripped up in their hometown, she comes up with a plan to get Rodeo take her across the country without him knowing. Along they way, they pick up passengers that impact their lives for the better. You will not want to put this one down. It showcases the best in human beings and toys with your emotions. Dan has a way with the written word. He makes it so easy to read. Almost like you are reading your favorite dessert. 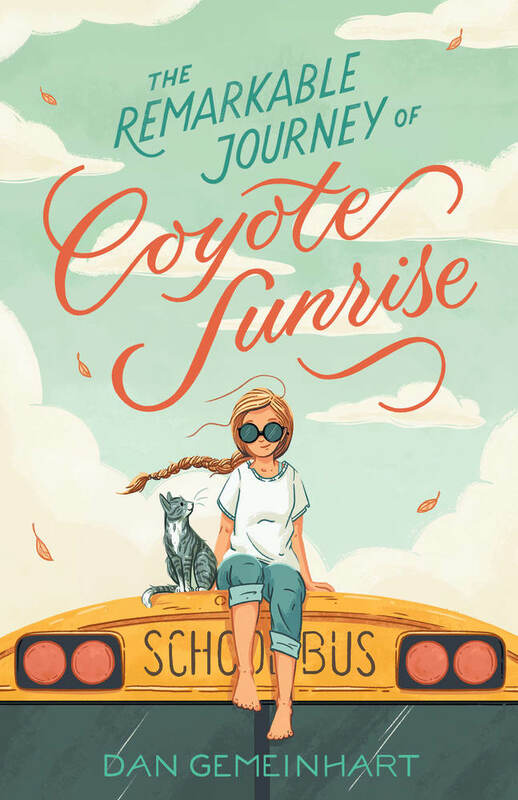 I would not be surprised if Coyote is nominated for a Newbery! I have been going through a reading slump lately with school starting back up. Fortunately, with traveling to Stanford for health reasons, I had a lot of time to read. Here are two books I highly recommend. I cannot explain how much I loved this book. Kids who come from different walks of life get to know each other and realize they have more in common than different. It is what every teacher wishes to see in their classrooms. Acceptance and understanding. This book would be a PERFECT read aloud for ages 10 and up. Everyone should read it. I can just imagine the deep classroom discussions this book could lead to. This book was action-packed. Jennifer Nielsen is one of my favorite middle-grade authors. You know you are getting a book that will keep you wanting to read well past your bedtime. Kids love her books because they can learn about history in a way that relates to them. You will not regret purchasing any of her books! Chaya Lindner is a teenager living in Nazi-occupied Poland. Simply being Jewish places her in danger of being killed or sent to the camps. After her little sister is taken away, her younger brother disappears, and her parents all but give up hope, Chaya is determined to make a difference. I received an ebook copy of THE BENEFITS OF BEING AN OCTOPUS via netgalley. Boy am I glad I read this book. It is a must have in the middle-grade classroom and school libraries. The main character, Zoey, allows children who live in poverty to see themselves in a book. Something they may have never experienced before. It is well-written. The characters are likable. All the praise this book has received so far is right on. You must pre-order this book. I am getting a copy for our elementary school library and recommending it to our intermediate-grade teachers. Seventh-grader Zoey has her hands full as she takes care of her much younger siblings after school every day while her mom works her shift at the pizza parlor. Not that her mom seems to appreciate it. At least there’s Lenny, her mom’s boyfriend―they all get to live in his nice, clean trailer. What a beautifully told story about a boy and his family who are struggling with the loss of his younger sister. Little did they know a foster girl, who loves trees, would help heal them in more ways than one. A perfect addition to any classroom grades 4 and up. 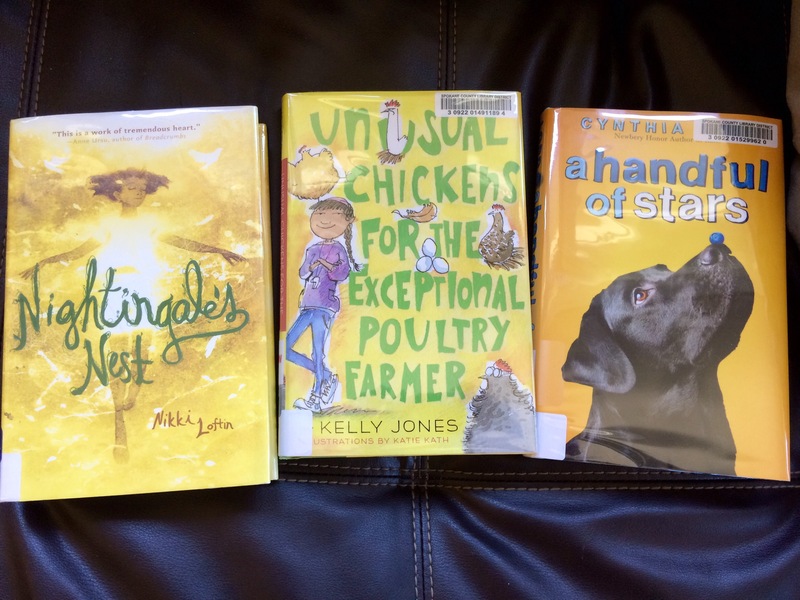 Who knew a magical story about chickens could be so entertaining yet so touching at the same time? Told through letters written by Sofie, a girl who’s family moved from LA to her late great-uncle’s run-down farm. Learning to raise unusual chickens is more difficult than it seems! A great addition to any classroom. One of the best books I’ve read this summer dealing with loss, hope, change, and moving on. A touching story of growing up and friendship. I could not put this book down. A must read and must add to your classroom! Here are a few ways I communicate with parents in my fifth grade classroom. I am hoping to give ideas to others teachers and gain ideas at the same time. Please help spread the word. Homeroom: This app/website has been a great “window” into our daily classroom environment. I post a picture everyday or every two days showcasing what is going on in our classroom. Parents are notified when I post something new. I would compare it to an Intsagram, but for our classroom only. I am the only one able to post, but parents have the ability to like and comment. This tool has made a positive impact this year with parents being able to actually view our classroom and learning on a daily basis. I highly recommend it. Email: This has been a handy tool for years, especially with parents who check their email often. I even started emailing the weekly homework. Parents love receiving a copy of homework even before their child beings it home! Friday Folders: Our school sends home flyers every Friday. Parents are expected to check these. Often school events and classroom newsletters are included. Progress Reports: This year I created progress reports using our new online standards based grading system. Parents liked knowing how their child was progressing mid-trimester. Phone Calls: I need to do this more often, but have found them to be very effective, especially with behavioral issues or to communicate positive information as well. How do you communicate with parents? I’d love to gather more ideas. I believe involving parents as much as possible is critical to each child’s education and well-being.